Reel Lives – EXILED LIFE from Reel Lives on Vimeo. Almost all Tibetans are Buddhist. I am Tibetan and I practice Buddhism. My name is Urgyen Dolma. I was born on 1996. I grew up in Nepal surrounded by monasteries and stupas. I have many relatives who are monks, nuns and rinpoches. I was raised very religiously. When I was young my parents moved to New York because they thought it was the land of opportunity. On May 19th, 2009 I arrived New York leaving my childhood home for a new beginning. But as time passed by, I came across many Tibetans who were not like me because they had been in America for a very long period of time. Then I started wondering, will I lose my traditional values as I get older? In 1959, Tibet was invaded by Communist China. Many Tibetans escaped to countries because the Chinese took over Tibet. 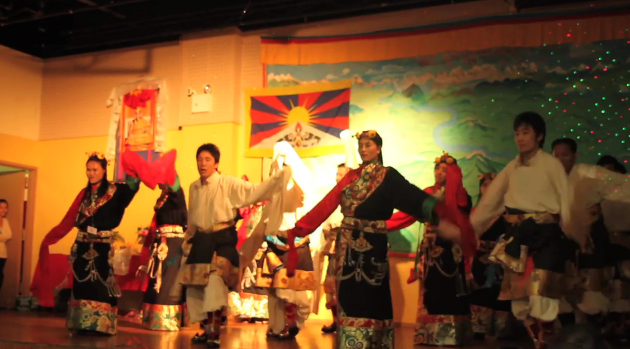 This might be an extinction of the Tibetan culture as time passes by. Thus, as new Tibetan babies are being born outside Tibet and next generation Tibetans are slowly losing touch with the many Tibetan traditions, as a young Tibetan I am worried about the loss of my own culture and how can young people like me help to preserve our ancient ways.